The 3 nutrients that must usually be added are Potassium, Calcium and Iron. 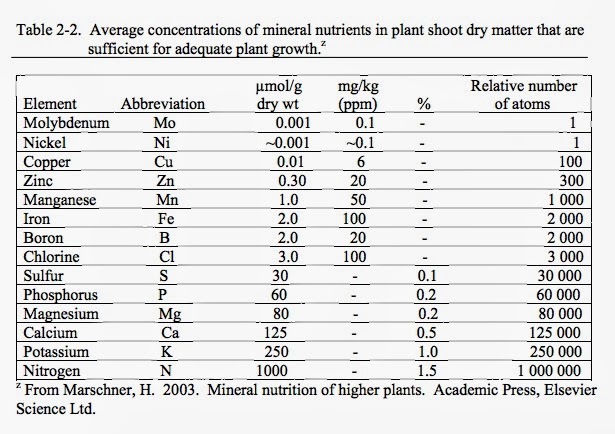 Sometimes a little Magnesium and Phosphorus are also required. 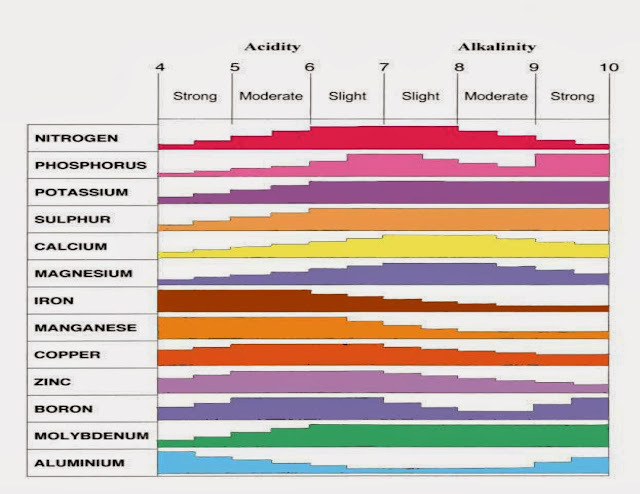 Since the pH in a well functioning system should always drop over time (due to the nitrification of ammonia), the best way to adjust the pH and add nutrients at the same time is to alternate between Potassium Hydroxide and Calcium Hydroxide. This will give you a balanced amount of Calcium and Potassium. To add iron to your system, use chelated iron (DTPE not EDTA). Here is a link to our iron calculator that tells you the UVI recommended amount to add each week (most systems require this much or less). 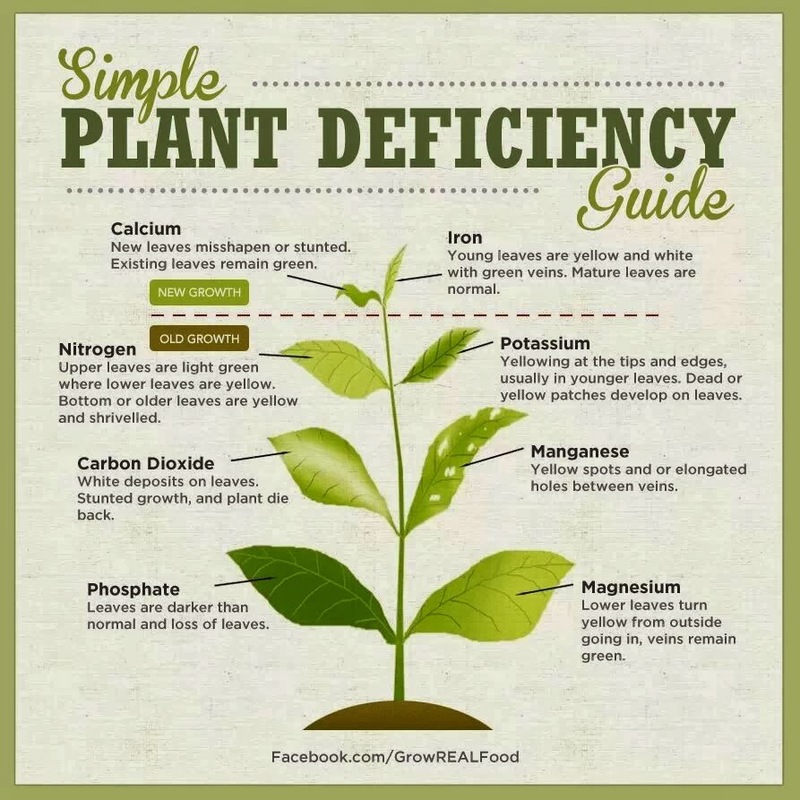 If you need to lower your pH, use phosphoric acid since your plants can also make use of the phosphorus. You will likely need to supplement phosphorous only for fruiting and flowering nutrient hogs such as tomatoes or cucumbers. If you need to add phosphorous without adjusting pH use rock phosphate. Nitrogen: Starts with older leaves becoming more yellow than the younger ones. Entire plant starts to turn yellowish. Calcium: Newer leaves show distorted growth. Mild deficiency can result in cupped or curled leaves and moderate deficiency can result in twisted leaves that look like they're squished. Iron: Newer leaves show reduced chlorophyll. Leaves turn yellow with greenish nerves enclosing yellow leaf tissue. It's first seen in fast growing plants. Phosphorus: Plants stop growing and become darker green (some species become purple). Premature leave drop-off. Fruiting plants such as tomatoes are not producing. Be aware that the pH levels in your system will affect the nutrient availability in your system. Try to keep your system between 6.5 and 6.8 pH.